We'll create your custom training plan, tailored to your training objectives. Your trainees will see your polling places, your equipment, and your procedures. Publish online content to your training site and assign to worker roles and profiles. Verify who has completed training, and identify areas for continued improvement. The Scytl Online Election Training program helped us efficiently recruit and train 4,000 tech-savvy election workers. In addition, the poll workers can review the training material closer to Election Day. 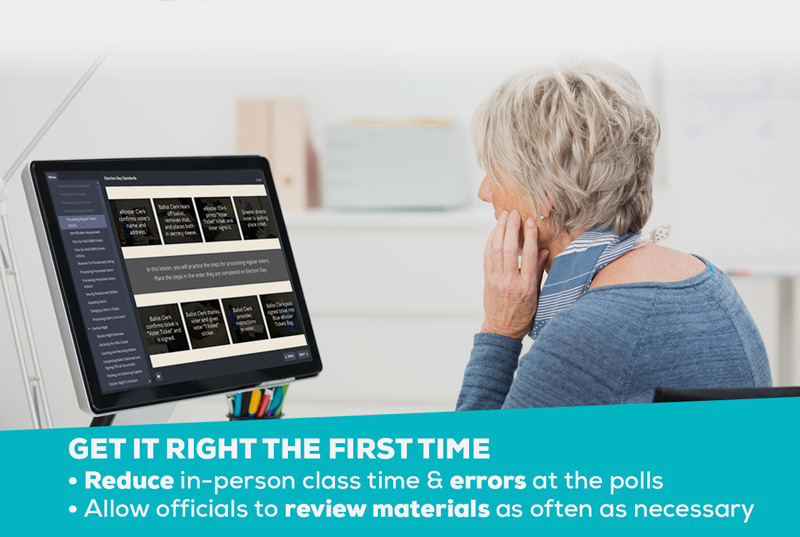 Training our staff on the (Scytl) platform is simple and effective...pollworkers attend in-person classes armed with better information by providing overviews through online access. Lessons include custom branding and content with multiple curriculum paths for different worker roles. Interactive lessons, exercises, and assessments keep trainees engaged throughout and assess knowledge retention. Create new content to account for changes in legislation. Upload previously created content in various formats – PDF, Powerpoint, video, photos. Easily pull reports on, and communicate with, trainees on training progress and completion. Custom content based on your specific equipment, process, and legislative requirements. Experienced online election educators with knowledge of best practices and experience from over 600 election jurisdictions. Supplement in-person training, reinforcing key concepts and processes. Interactive content based on current adult learning theory practices. Hire, train, and assign workers through one connected solution. Scytl Election Worker management streamlines recruitment, hiring, training, and scheduling through one simple solution. Optimize repeat worker deployment with digital evaluation records. 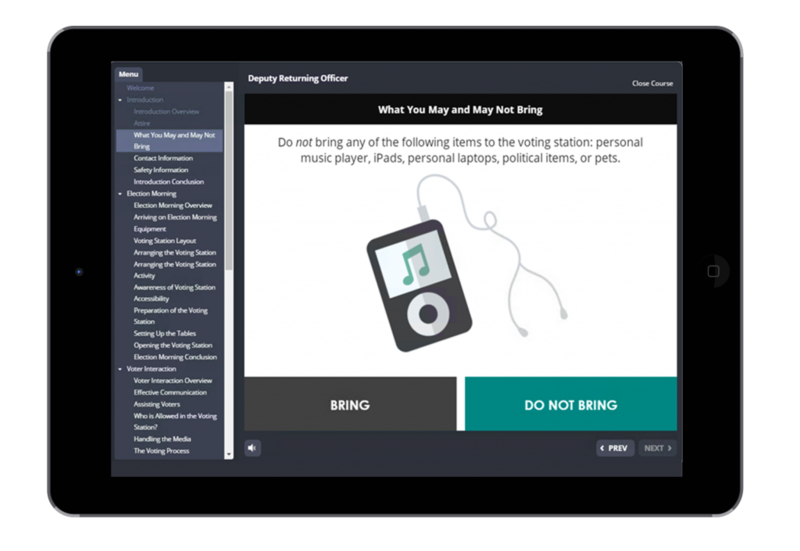 Learn more about Election Worker Management. Scytl has provided Online Election Worker Training in the United States since 2006. In the 2016 General Election, Scytl helped train nearly 40,000 election workers, in more than 15 states.